Ivan Conrad is a commanding actor with a powerfully cutting, yet artistically versatile voice. Of over 75 roles performed across a dozen European cities in Greece, Italy and Germany, and in more than 30 cities in the United States, highlights of Conrad’s career include the title-roles DER FLIEGENDE HOLLÄNDER and GIANNI SCHICCHI, both Figaro and Il Conte LE NOZZE DI FIGARO, Amonasro AÏDA, Escamillo and Zuniga CARMEN, Marcello, Schaunard, and Colline LA BOHÈME, Monterone, Marullo and Ceprano RIGOLETTO and Silvio PAGLIACCI. Conrad is currently preparing Scarpia TOSCA and the title role DER KAISER VON ATLANTIS. Engagements this season include Conrad’s return to Long Island Opera Company to perform Schaunard LA BOHÈME, Marcello (cover) LA BOHÈME for Opera at the Madison on Long Island, Amonasro AÏDA and Sprecher DIE ZAUBERFLÖTE with Connecticut Lyric Opera, and perform Figaro LE NOZZE DI FIGARO in Greve in Chianti (Italy) this summer. Last season Conrad’s engagements included Zuniga CARMEN and cover Escamillo for Opera at the Madison on Long Island, the title-role GIANNI SCHICCHI with Salt Marsh Opera in Connecticut and Rhode Island, Perchik FIDDLER ON THE ROOF with the Klezmer Company Orchestra in Miami, Peter HÄNSEL UND GRETEL and Joey THE MOST HAPPY FELLA at Quisisana in Maine and an evening of operatic scenes at Carnegie Hall with New York Lyric Opera Theatre. During the 2015-2016 season, Conrad’s engagements included his Carnegie Hall solo debut as the baritone soloist in Robert S. Cohen ALZHEIMER’S STORIES, Beethoven Symphony no. 9 with Ars Musica in New Jersey, opera and concert appearances at the Festival of the Aegean and Greek Opera Studio and an evening of opera scenes at the National Opera Center in New York with Opera Breve. In the same season Conrad was a Studio Artist at Sarasota Opera and the Natchez Festival of Music performing Frank SHOW BOAT, Escamillo (cover) CARMEN and Rolando LA BATTAGLIA DI LEGNANO. The 2014-2015 season’s engagements included Figaro LE NOZZE DI FIGARO with Manhattan Opera Studio, Marchese LA TRAVIATA with Opera at the Madison, Marullo RIGOLETTO with MidAtlantic Opera in New Jersey, Handel Messiah, Brahms Requiem and Mozart Requiem with New York Choral Society and a guest artist appearance at The Juilliard School covering Bartolo LE NOZZE DI FIGARO. During the 2013-2014 season, Conrad was a Studio Artist at Sarasota Opera singing Le Soldat JÉRUSALEM and a Resident Artist at Connecticut Lyric Opera singing Il Bonzo MADAMA BUTTERFLY and covering the title-role DER FLIEGENDE HOLLÄNDER with both companies. During the 2012-2013 season, Conrad performed with seven opera companies: as a Studio Artist at Chautauqua Opera covering Swallow PETER GRIMES, a Resident Artist at Dicapo Opera Theatre in Manhattan singing Simone GIANNI SCHICCHI, Alidoro LA CENERENTOLA and the Father BEAUTY AND THE BEAST, the Natchez Festival of Music performing the First Gangster KISS ME KATE and Osmin BILLY GOATS GRUFF, Empire Opera in Manhattan as the Undesirable in the world premiere of RUMPELSTILTSKIN, New York Lyric Opera as Zuniga CARMEN, Opera Moderne in Manhattan covering Der Tod DER KAISER VON ATLANTIS; and with Emerald City Opera in Colorado covering Figaro and singing Bartolo LE NOZZE DI FIGARO. In 2011, the Festival Internazionale della Cultura in Bergamo, Italy invited Conrad back to sing Battista and Vincenzo LA BISBETICA DOMATA (THE TAMING OF THE SHREW) after singing the bass solo of the Mozart Requiem the previous year alongside singers and musicians from Teatro alla Scala in Milan. Other previous engagements include the ensemble of Shostakovich Symphony No.13 ‘Babi Yar’ and Bach B Minor Mass with the New York Philharmonic, the soloist for Messiah and Beethoven Mass in C with the New Mexico Philharmonic, Ceprano RIGOLETTO with Long Island Opera Company, Zuniga CARMEN with Opera Southwest (Albuquerque), and a guest appearance with the Santa Fe Desert Chorale. 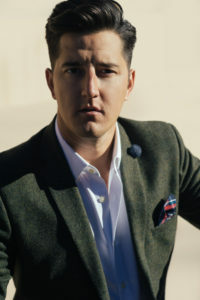 An Albuquerque native based in Manhattan, Conrad earned a Bachelor of Music and a Bachelor of Music Education from the University of New Mexico where he performed Colline in LA BOHÉME, Prince Gremin in EUGENE ONEGIN, and Sarastro DIE ZAUBERFLÖTE, and then a Master of Music from the Manhattan School of Music performing Raimondo LUCIA DI LAMMERMOOR and the bass of the opera-box quartet in THE GHOSTS OF VERSAILLES.